Biffy Clyro follow 2013’s critically acclaimed #1 double-album ‘Opposites’ with their seventh studio album ‘Ellipsis’ which will be released on July 8th on Warner Bros. Records / 14th Floor Recordings. Pre-orders for the album are now open , with ‘Wolves of Winter’ and ‘Animal Style’ aew now streaming and available as an instant grat tracks. As is tradition, writing sessions for the album saw Biffy Clyro – Simon Neil (vocals/guitar) and the Johnston brothers James (bass) and Ben (drums) working in the intimate environment of their practice room. They then headed to Los Angeles for recording sessions with producer Rich Costey (Muse, My Chemical Romance, Sigur Ros). Citing influences as diverse as Tears For Fears’ ‘Songs From The Big Chair’ album, DJ Arca and Deafheaven, Simon Neil has described ‘Ellipsis’ as “more of a punch to the nose than a big cuddle.” Lyrically, the album’s songs tackle personal issues with the idea of “fighting back” a recurring theme. 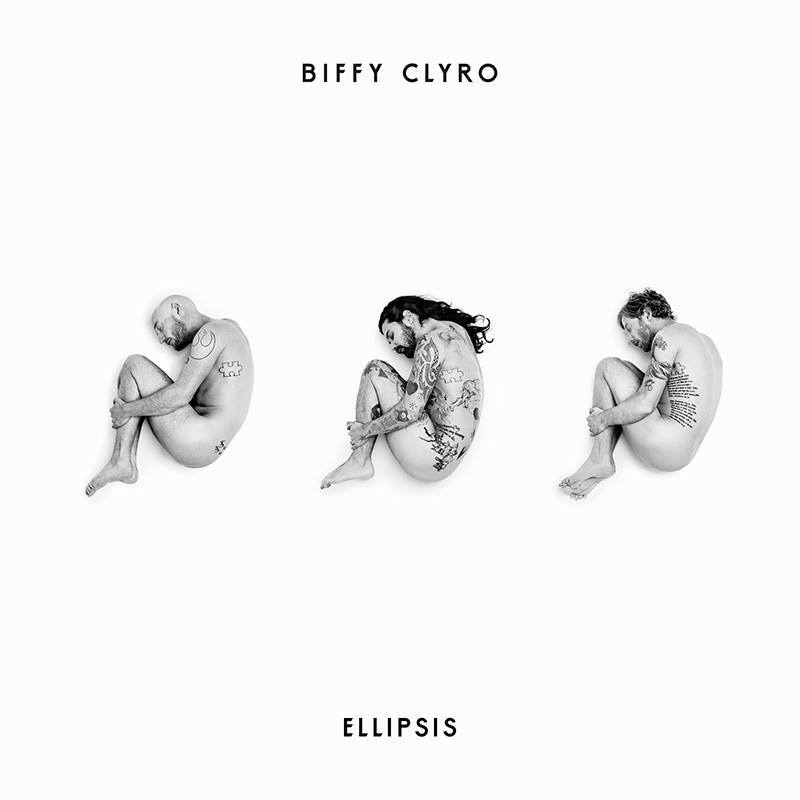 An ‘Ellipsis’ (most commonly depicted as …) indicates a continuation: in this case, Biffy Clyro’s new body of work is an ongoing representation of everything that the band have stood for since first debuting in 2002 with the ‘Blackened Sky’ album. ‘Ellipsis’ will be available digitally and on CD as both standard and deluxe editions. In addition, a variety of vinyl formats will be issued together with a special D2C box set which will be available exclusively from www.biffyclyro.com. After playing their only show of 2015 shortly before midnight on New Year’s Eve at Edinburgh’s Hogmanay, Biffy Clyro recently announced that they’ll headline this summer’s Reading (August 28th) and Leeds Festivals (August 26th). Now Biffy Clyro can also announce details of their biggest Scottish show at Glasgow’s Bellahouston Park on August 27th. Part of this year’s Glasgow Summer Sessions, the 35,000 capacity show features special guests Fall Out Boy as well as more bands that will be announced in the coming weeks. Tickets go on sale from 9am on Wednesday March 23rd and will be available from www.glasgowsummersessions.com and www.ticketmaster.co.uk. ‘Opposites’ saw Biffy Clyro flourish with their first #1 album and another Top 10 single with ‘Black Chandelier’. The band’s live shows soared to new heights with highlights including debut festival headline sets at Reading, Leeds, Radio 1’s Big Weekend, Isle of Wight and T in the Park; a triumphant sold-out UK arena tour; and extensive touring across six continents.